The name of this recipe sums up this chicken quite well. I had pinned this recipe on Pinterest awhile ago and been waiting for a chance to use it. On Monday I wanted something quick and simple and I thought of this recipe. I was a little skeptical that this chicken would be perfect, but I thought that it sounded pretty tasty. It is browned on the stove and baked the rest of the way in the oven using a open Dutch oven. I loved the seasoning that was on the recipe, but I questioned if the chicken would stay juicy and may be dried out with baking it in the oven this way. To my amazement the chicken was juicy, tender, and delicious. It really was a snap to make and in no time it was on the dinner table ready to eat. Really it took about 32 minutes for the cooking time and maybe 10 minutes for the prep time. This is one of those recipes to keep on hand when you need something easy to make, delicious, and quick. Fantastic!! 1. Mix salt, pepper, garlic powder, onion powder, and paprika in a smal bowl. 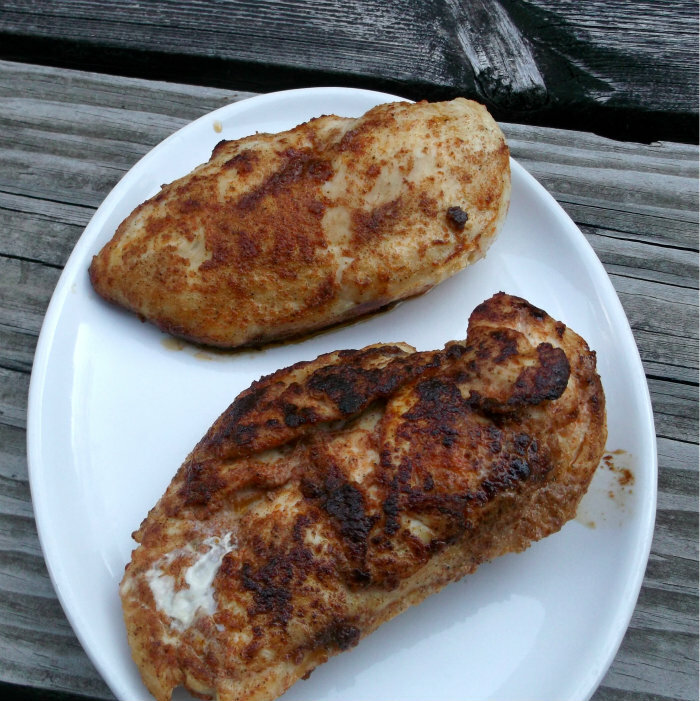 Coat the chicken breasts with the seasoning, rubbing in to coat. 2.Pour olive oil in the bottom of a Dutch oven and heat to medium-high. 3. When the oil is nice and hot add the chicken to the pan. 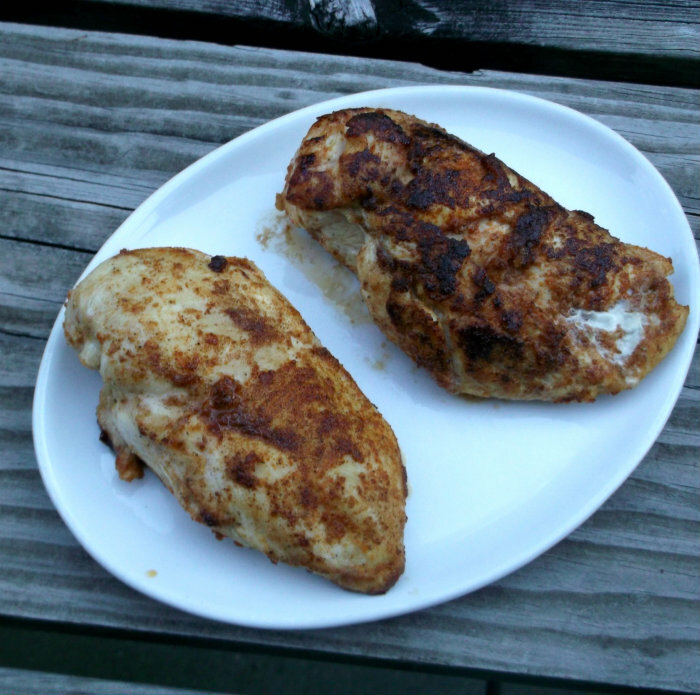 Cook 2 – 3 minutes per side. 4. Leave the chicken in the Dutch oven and place it in a oven that has been preheated to 350 degree F. for 25 minutes or until juices run clear. Let the chicken sit on a plate for 5 to 10 minutes before cutting it. It’s always so great when a “perfect” recipe lives up to its expectations! I do something very similar to this and then cook it on the grill instead of in an oven. This is a great way to do it in the winter. It sounds simple and delicious – my kind of recipe. I love the spicing on this – it sounds quite nice. And the chicken does indeed look perfect! Good recipe – thanks.